Adventure games are typically intended to be calm, leisurely affairs, but indie developer The Serene Adventurer’s upcoming Cerynitii promises to be even more relaxing than most. 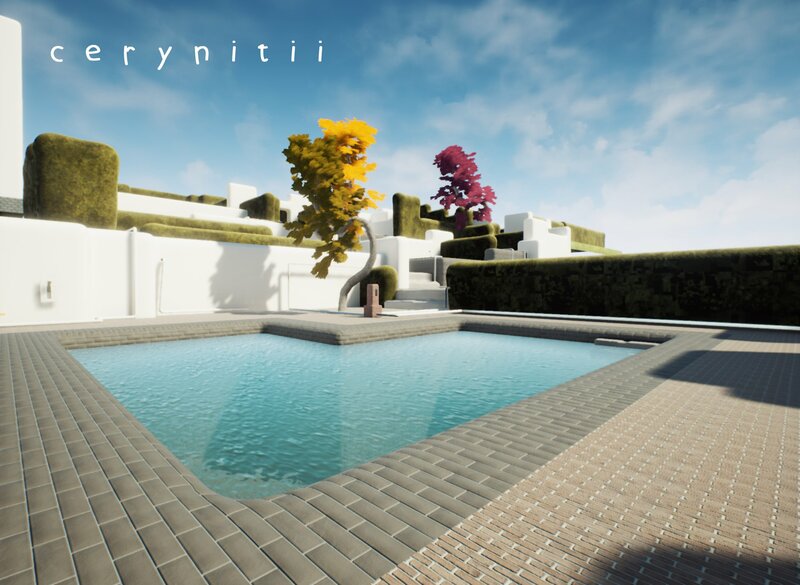 While few story details have been revealed so far, Cerynitii is a first-person “puzzle exploration adventure game” inspired by the likes of the Myst series, Quern: Undying Thoughts and The Witness. 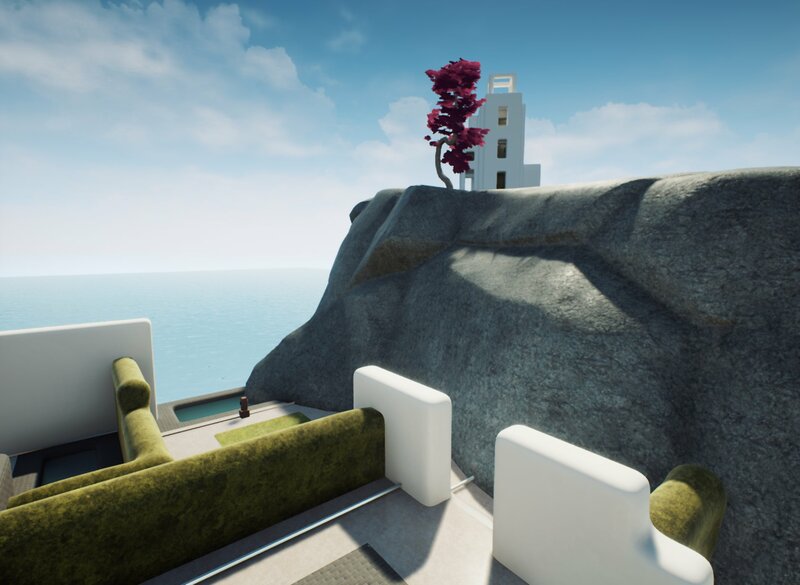 The game takes players to a remote island where there will be numerous obstacles to overcome as you explore the scenic environments and begin to slowly unravel the mystery. 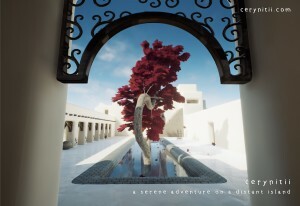 Cerynitii is intended to be a “calm, peaceful and soothing” experience, a goal that is reflected in the “game art design, color palette, choice of sound effects, and the story as well.” Created using the Unreal Engine 4, the game is “greatly inspired by the beautiful architecture of The Santorini Island and the serene beauty of Moroccan and Damascus houses,” so the “colors and materials are chosen carefully to match the feel and mood of the game.” Don’t let its tranquil atmosphere fool you, however, into thinking this is just another walk in the park, as there will be plenty of puzzles to solve along the way. Although the game has been in production for almost a year already, as a one-man project its release on Windows PC is still a fair way off. While waiting for Cerynitii’s as-yet-unspecified release date that will probably stretch to 2020 at least, you can follow its progress through the developer’s blog. Cerynitii takes you to an adventure on a distant island, where you have to solve puzzles and explore new areas while the story slowly unravels.